Welcome to another jam-packed issue focusing on the sometimes murky world of loudspeaker splays, unique approaches for optimizing the guitars in the mix and main system and subwoofer array configurations. And, as always, there’s much more. Enjoy the issue! Main/sub array configurations and implementation. 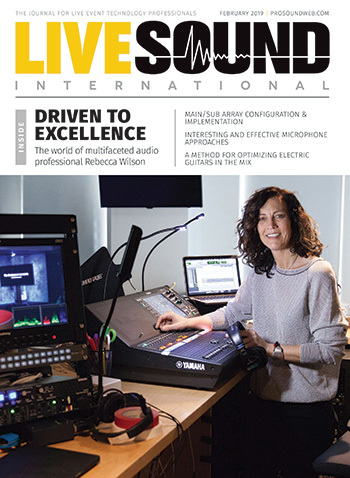 The world of multifaceted audio professional Rebecca Wilson. An approach to optimizing guitars in the mix. The latest in medium-format line arrays.